If you are looking for an electric cooktop -- smoothtop, coil or induction -- the top choices are made by GE. Samsung makes the best gas model. We also found some terrific budget choices from Frigidaire, Whirlpool and Maytag. Excellent performance, useful features and a stylish look make the 30-inch GE Profile PP9030SJSS smoothtop electric cooktop easy to recommend. It includes two expandable heating elements to handle virtually any size of stovetop pot or pan. Gone are old-fashioned knobs, replaced by easy-to-use Glide Touch controls. Cooking performance is excellent, whether bringing water to a boil in no time flat or gently simmering delicate sauces. The PP9030SJSS has a black ceramic glass top with stainless steel trim, the GE Profile PP9030DJBB (Est. $1,400) is the same cooktop in plain black. If you only have $500 or less to spend on a cooktop, the Frigidaire FFEC3024LB makes a compelling case for seeing if you'd like to switch to a smoothtop. In spite of the low price, it gets raves from experts and owners for its terrific performance. There aren't a lot of features, and it's only offered in black, but that doesn't seem to bother too many people; especially those who bought it to upgrade their kitchen and say it looks plenty upscale. 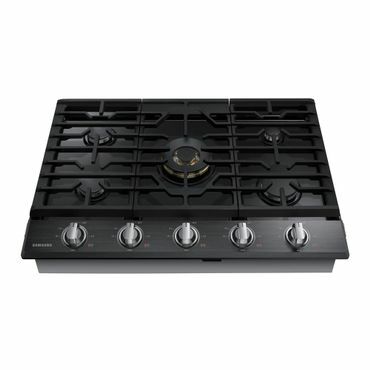 If you still love an electric coil cooktop -- as many people do -- you'll be very happy with the GE JP328SKSS. Owners say the JP328SKSS is very easy to install, heats up quickly, and consistently maintains the chosen temperature. The hinged lid with support rod makes it very easy to lift and clean underneath the cooktop, too. This is the stainless steel version, it also comes in black as the GE JP328BKBB (Est. $320) or white as the GE JP328WKWW (Est. $320). 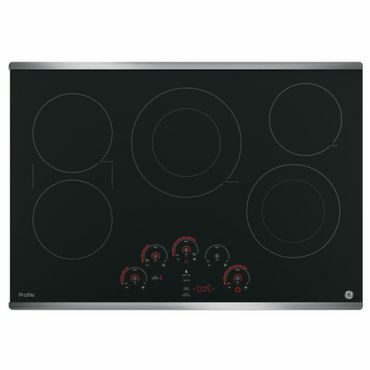 The 30-inch GE Cafe CHP9530SJSS induction cooktop gets great ratings in owner and professional reviews. Performance is excellent, it's very stylish, and it's loaded with features -- including digital Glide Touch controls that allow you to precisely set power levels. Other pluses include a feature that syncs two elements together for use with large pots and pans, or a griddle -- and one is included with the cooktop. The cooktop comes in gray ceramic class with stainless steel trim, and a similar 36-inch version is also offered. 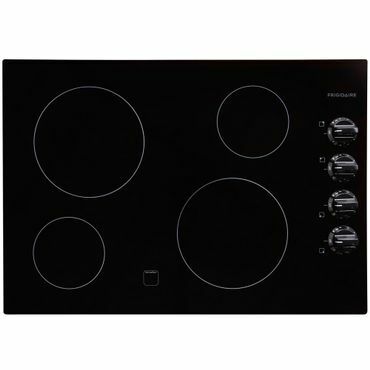 The Samsung NA36K7750TG/AA is a 36-inch, black stainless-steel, pro-style gas cooktop that looks good and performs terrifically, earning raves from experts and owners. 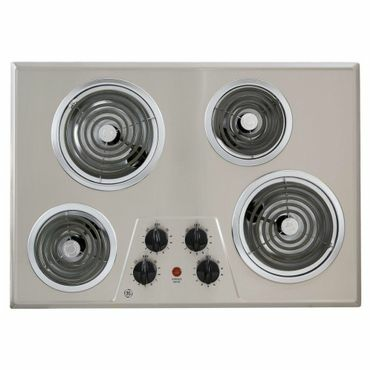 It has five heavy-duty sealed burners that range from 5,000 to 22,000 BTUs. The continuous cast-iron grates are easy to remove and are dishwasher safe for cleaning. It's Wi-Fi capable for remote monitoring on a smartphone app, and comes with useful accessories such as a griddle and wok grate. It also available in regular stainless steel, and in 30-inch versions. The 36-inch Maytag MGC9536DS isn't a pro-style cooktop, but it's one of the least expensive gas cooktops to earn an expert recommendation. In addition, most owners say this made in the U.S. cooktop looks great, and works even better. It features continuous grates to make moving pots and pans on the cooktop easy, and its five burners offer plenty of flexibility. The cast iron grates are dishwasher safe, and most say that cleaning this cooktop is a breeze. Imagine taking your range, and just cutting off the top cooking surface -- what you end up with is a cooktop. While cooktops are no help if you have to bake a cake or roast a turkey, what they lack in functionality they make up for in flexibility, at least in terms of kitchen design and layout. Since they're not attached to a large oven, cooktops can be installed anywhere in the kitchen, including in a kitchen island, perfect for making cooking a social activity. Cooktops of all types are most commonly available in 30 inch and 36 inch widths, but smaller sizes, such as 24 inches, are available to accommodate tighter kitchen layouts. If you choose to go with a cooktop in your kitchen instead of a range, you'll also need a wall oven in order to bake. We cover both in separate reports. And, to wrangle the smoke and grease from skillet cooking, you'll need a range hood as well. These are by far the most popular type of electric cooktop. They feature radiant burners under a layer of ceramic glass. Experts say the burners on smoothtops excel at maintaining temperature, particularly for simmering. Basic smoothtop electric cooktops may have only four burners of fixed sizes, but higher-end models will typically have more, including flexible burners that can accommodate several different pan sizes; special burners for quick boiling or low, slow simmers; and bridge burners for very large pots or oblong griddles. Electric coil cooktops are largely being supplanted by smoothtops, but reports of their death have been greatly exaggerated. Many people love this type of cooktop, and we saw plenty of comments from owners who -- fed up with finicky smoothtops that showed every smudge -- went back to coils. Coil cooktops are easier (and cheaper) to repair if they break and, unlike smoothtops, you don't have to worry about scratching or breaking the unit's surface. They also tend to be a lot cheaper than smoothtops. Induction cooktops also have smooth glass surfaces, but they use electromagnetic elements that heat the pan directly rather than transferring heat from a radiant element to the pan bottom. Cookware must be magnetic -- made of stainless steel or cast iron -- in order for an induction cooktop to work; glass and ceramic cookware won't do. (We have suggestions for induction cooktop-compatible cookware in our cookware report.) In professional tests, induction cooktops excel at quickly boiling water and holding a precise simmer. Because the induction process heats the cookware material itself -- rather than applying heat with an exposed burner or cooking element -- these cooktops stay relatively cool to the touch. Many people adore gas for stovetop cooking for several reasons: they can actually see the heat level, temperature adjustments are instantaneous, and there's no waiting for a burner to heat up. 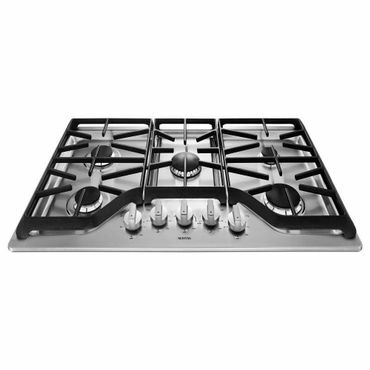 Gas cooktops have four, five and sometimes even six burners with at least one high-powered burner (for tasks such as boiling water) and one smaller burner (for simmering or keeping food warm). The heat output of each individual burner is measured in British thermal units (BTUs). Most gas cooktops have sealed (one-piece) burners, which are easier to keep clean than unsealed models because there's no burner well for crumbs to fall into. Many gas cooktops -- even some basic models -- have continuous grates that fit together seamlessly so you can slide heavy pots and pans between burners. Finding a prevailing retail price for many major appliances, including cooktops, can be quite challenging. Sales are commonplace, and when you spot those, you can sometimes save hundreds compared to the manufacturer's suggested retail price (MSRP). Other times, a cooktop you might want will be available only at full retail. 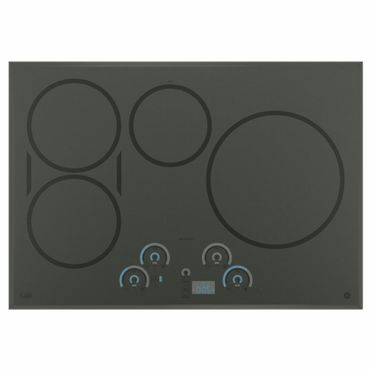 Also, depending on the manufacturer's pricing policy, sometimes prices will vary significantly from store to store, and other times the cooktop will be the same price at every authorized retailer, online or brick-and-mortar (and if you buy from an unauthorized seller you run the risk of voiding your warranty). The bottom line? To make comparisons as fair as possible, for all the cooktops covered in this report, the "estimated" price we provide is the full MSRP. Be aware, however, that in some (but not all cases) it may be possible to buy the appliance for less -- and sometimes substantially so. That means that when it comes to cooktops, it's important to shop around to find the best deal. Overall, we found Consumer Reports to be the best source for cooktop reviews. Editors report test results for around 50 electric (smoothtop and coil), induction and gas cooktops on their website. Cooktops are tested on their ability to boil water under high heat, and simmer tomato sauce and melt chocolate under low heat without scorching. However, rankings and test results are available only to subscribers. Reviewed is another helpful source. It does not review as many cooktops as Consumer Reports, but does a more complete job of discussing a model's high and low points. Again, coverage includes gas, electric and induction cooktops. Even more helpful are the user reviews that help us evaluate how well a cooktop performs in the real world as opposed to a test lab. Most of the cooktops in this report receive dozens -- and sometimes hundreds -- of reviews at sites like Home Depot, Best Buy, Lowe's and elsewhere. Amazon even carries a few cooktops that get enough feedback to be meaningful. However, with the exception of Best Buy and Amazon, many user review sites now incorporate feedback that was originally posted elsewhere -- most often manufacturer sites -- into their ratings. We took duplicate feedback at various sites into consideration when evaluating user reviews to get as accurate a read as possible on actual user satisfaction with a given cooktop. The right types of burners.